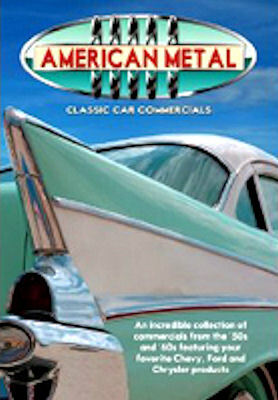 "This DVD covers the heyday of American car culture - post WWII-1972, showing the evolution of automobile advertising. Gearheads and history buffs will enjoy the early oil, gas, and other car product ads. Brands featured include Chevrolet, DeSoto, Chrysler/Plymouth, and Ford/Lincoln/Mercury."